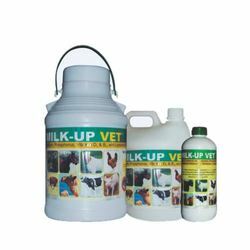 We are one of the prestigious manufacturers, traders and suppliers of Veterinary Feed Supplement. This range of medicines is available in various potency and cure several ailments of pets and domestic animals. Our supplements can be used through injections and also can be taken in form of tablet as well as syrup form. Customers can avail Zear Clear Veterinary Feed Supplement, Mustcure Veterinary Feed Supplement, Liquid Feed Supplement, Pizo Liv, Dudharu Gold and Veterinary Bolus. 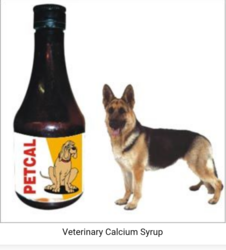 We are highly appreciated for offering effective Veterinary Supplement. This range of supplements is enriched with calcium phosphorus vitamin D3 vitamin B12 with leptadenia reticulate extract and jatamansi. It can be used for cow, buffalo, horse & camel 100 to 120 ml. Daily. Our supplements can be also used for sheep, goat & calf at 40 to 80 ml. daily. 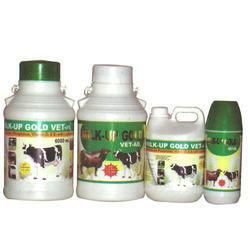 The Liquid Feed Supplement provided by us is also known as Dudharu Gold Vet. This range of medicines is enriched with calcium, phosphorus and vitamin D3 & B12 with leptadenia. We use pure ingredients to formulate this range of medicines. Therefore, our supplements are known for accurate formulation and high nutritional value. Owing to the expertise of our professionals, we are involved in offering our clients a variety of Must Cure Veterinary Feed Supplement. 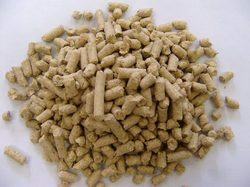 We are offering our clients, quality Calcium Feed Supplement. Our supplements are processed in accordance with the international quality standards and norms under the visionary guidance of our quality controllers. 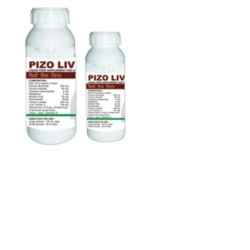 We are noted among the most remarkable maker of Pizo Liv Veterinary Feed Supplement.